A vast luminous nebula spotted in a distant universe has baffled astronomers as there is no obvious source for the powerful light being emitted. 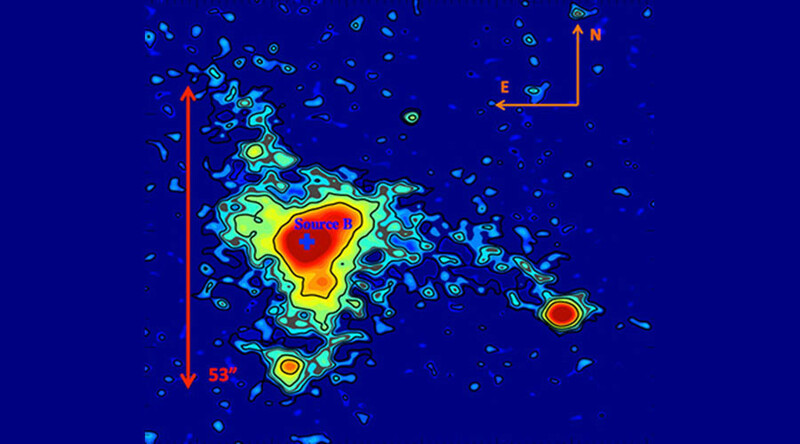 The glowing ‘blob of gas’ was spotted by researchers at Santa Cruz University as they searched for the most dense galaxy environments in the early universe. "Our survey was not trying to find nebulae...We found this enormous nebula in the middle of the protocluster, near the peak density," Zheng Cai, a Hubble Postdoctoral Fellow at UC Santa Cruz said of the research, published in the Astrophysics Journal. The nebulae called the ‘Enormous Lyman-alpha nebula’ (ELAN) is the brightest and among the largest of these rare objects ever detected. Only a handful have been observed. ELANs are thought to be part of the fiber connecting galaxies in a vast cosmic web. 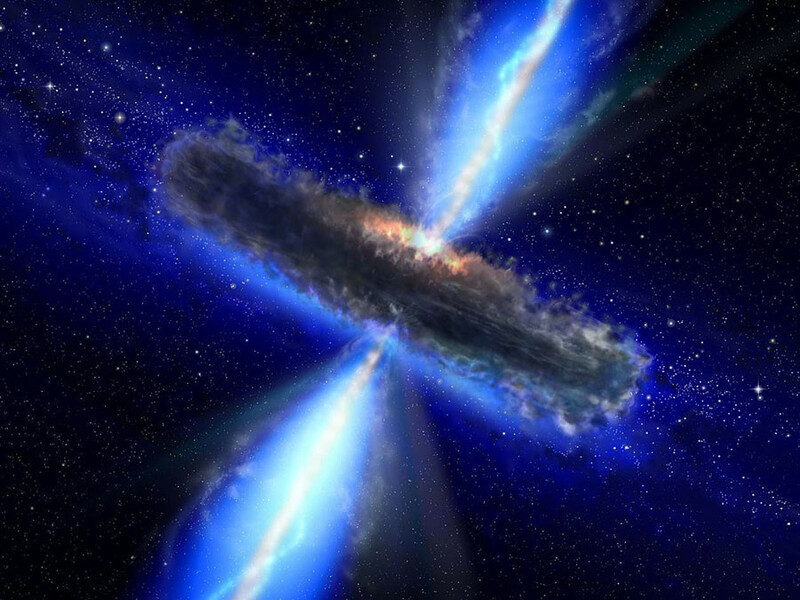 Their remarkable shining light has previously been attributed to intense radiation from quasars. However this newly-discovered ELAN, named MAMMOTH-1 is the first not to be associated with a visible quasar. Scientists say it’s not clear what is causing the hydrogen gas to emit Lyman-alpha radiation. The curious ball of gas was found at a distance of 10 billion light years in the middle of a region with an exceptional concentration of galaxies. "It's extremely bright, and it's probably larger than the Slug Nebula, but there's nothing else visible except the faint smudge of a galaxy. So it's a terrifically energetic phenomenon without an obvious power source," J. Xavier Prochaska, co-author on the study said. Prochaska’s team discovered the first ELAN – the Slug Nebula, in 2014. The enormous ‘protocluster’ of gas and dust in which the nebulae reside is equally impressive, according to the researchers, as it hosts an unusually high concentration of galaxies in an area about 50 million light-years across. Possible explanations for the luminous nebula include radiation or outflows from an active galactic nucleus (AGN) so strongly hidden by dust that only a faint source can be seen and associated with the nebula. An AGN is powered by a supermassive black hole actively feeding on gas in the center of a galaxy, and it is usually an extremely bright source of light. The intense radiation from an AGN can ionize the gas around it, potentially causing it to emit Lyman-alpha radiation. "It has all the hallmarks of an AGN, but we don't see anything in our optical images. I expect there's a quasar that is so obscured by dust that most of its light is hidden," Prochaska said.